Get to know Gotham’s greatest ghosts, borough by borough. In a city of over 8 million, there’s bound to be a ghost or two. From American Revolutionary spy girls to fallen American Indians, the spirits of old New York still linger amid the busy streets and towering skyscrapers. On the northern end of Manhattan, in the neighborhood of Washington Heights, is the Morris-Jumel Mansion, the borough’s oldest house. Far from the lights of Times Square and the boutique shops of Soho, the mansion offers a different kind of intrigue. It was built in 1765 by British military office Roger Morris and he lived there with his wife, Mary Philipse Morris, until 1775. Following that, the house served as important headquarters for both Loyalists and Patriots during the American Revolution. George Washington himself fled to the house in 1776 after losing the Battle of Brooklyn to the British. Fast forward a few decades to 1810, when Frenchman Stephen Jumel purchased the house and took up residence with his wife Eliza. Jumel died mysteriously years later and Eliza remarried to the testy former vice president, Aaron Burr. Today it’s said that Eliza continues to the live in Morris-Jumel, telling visitors to lower their voices. Other sightings include Hessian soldiers who still linger at the place of their death. It may be the “forgotten borough” according to residents who feel that the city government often leaves their island out of the loop, but Staten Island was once host to an important meeting between both sides of the Revolutionary War. 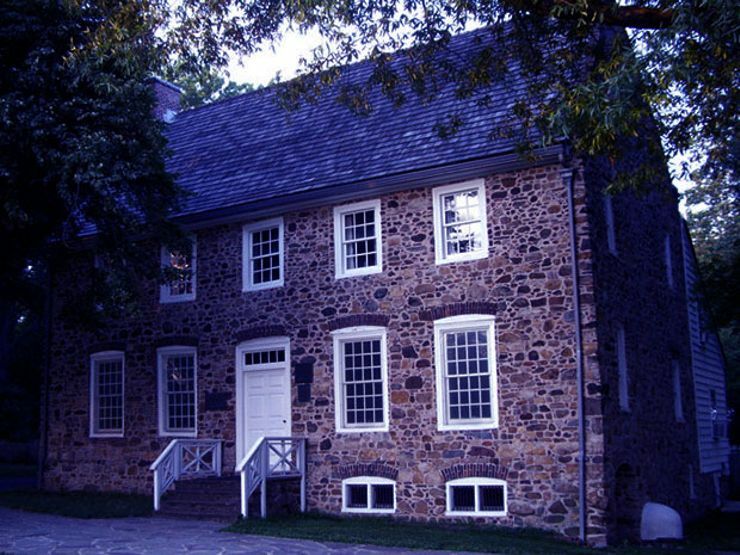 Known as the Staten Island Peace Conference of September 11, 1776, the rendezvous went down at the Conference House (then known as Billop Manor), and included bigwigs like Benjamin Franklin and John Adams. Alas, the summit amounted to nothing. The war soon escalated and the Conference House, located on the island’s southernmost tip, briefly served as a way station for British soldiers during the war. In 1779, the home’s owner, British Colonel Christopher Billop, feared that one of his adolescent servants was a spy for the Patriots. He threw her violently down a flight of stairs and she died. Today her spirit remains, often heard moaning at the base of the stairs. Some even theorize that the girl was madly in love with Billop and lingers in his home with the hope that he’ll forgive her. But the hauntings don’t end there. The area that contains the Conference House is known as Ward’s Point, home to the largest Lenape burial ground in all of NYC. It’s believed that the Lenape viewed the bluffs overlooking Raritan Bay as a sacred place, and today their energy can still be felt. Located in the quiet, residential neighborhood of Middle Village, Queens, Saint John’s Cemetery is one of New York State’s largest burial grounds. Officially opened in 1879, the cemetery is the everlasting home to a number of famous people. Buried deep in its earth is former Governor Mario Cuomo, vice presidential candidate Geraldine Ferraro, mobster John Gotti and controversial photographer Robert Mapplethorpe. Given the number of celebrities, politicians, and Mafiosi interred in Saint John’s Cemetery, it’s no wonder that reports of unsettled spirits recur. 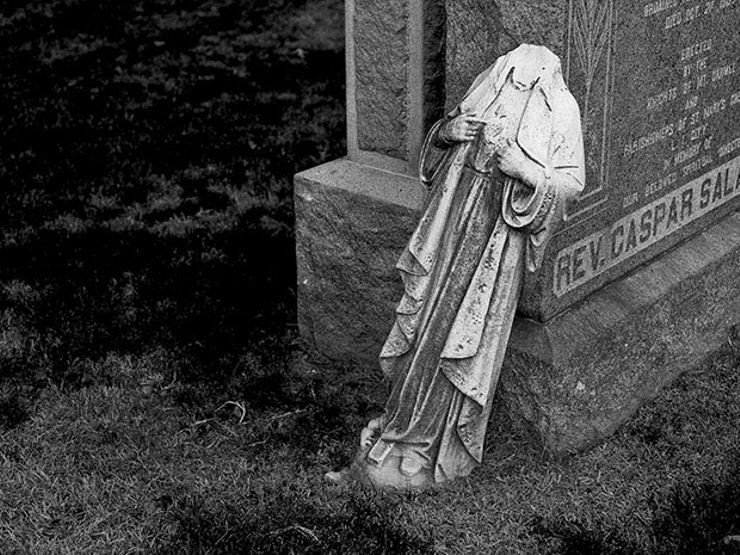 Visitors claim that certain pockets of the cemetery are unusually cold, while eerie voices and sounds emanate from the long rows of tombstones despite there being no one present. Wallabout is one of Brooklyn’s oldest (yet littlest known) neighborhoods. Tucked away on the banks of the Wallabout Bay along the East River, and bordered by the Brooklyn Navy Yard, the area is a mere two city blocks—but it’s home to one of the borough’s most haunted spots. 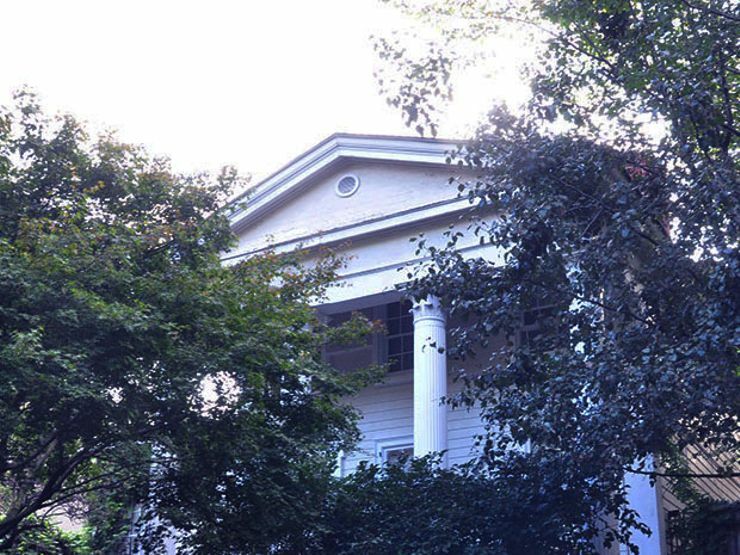 Built in 1840, the Lefferts-Laidlaw House is a Greek Revival building once home to a man by the name of Edward Smith. The story goes that one evening in 1878 Smith was home alone when he heard a knock at the door. When he went to see who was there, he found no one. The mysterious knocking continued, yet every time Smith opened his front door, he was met by empty air. Spooked, Smith called the police who came to search to area. While inspecting the home, a brick flew through the window. Smith chalked it all up to something paranormal. To this day, ghost hunters and séance holders convene at the Lefferts-Laidlaw House, in the hopes of communicating with the dead. 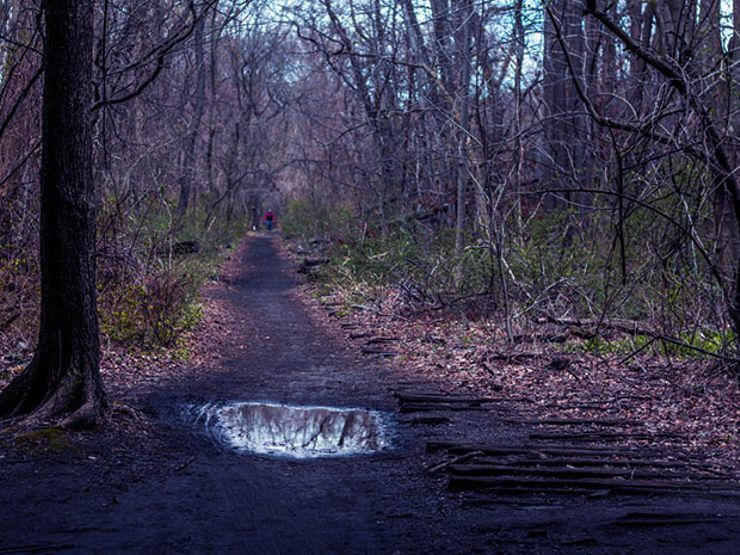 Van Cortlandt Park is the city’s third largest green space, home to soccer fields, walking trails, historic buildings, and a golf course. But this pleasant city park was once the site of something very gruesome. In 1778, British soldiers (along with the help of German mercenaries) were ordered by the king to ambush the native people of the area. It came to be known as the Stockbridge Indian Massacre. Forty Wappinger people, including their last reigning chief, Sachem Ninha, were killed. The British at first refused to bury the bodies, until local settlers pleaded for dignity. The slaughtered Wappinger people were laid to rest in what is now the Parade Grounds. Park goers have reported seeing apparitions, hearing low whispers among the trees and feeling a general sense of unease while visiting the park. 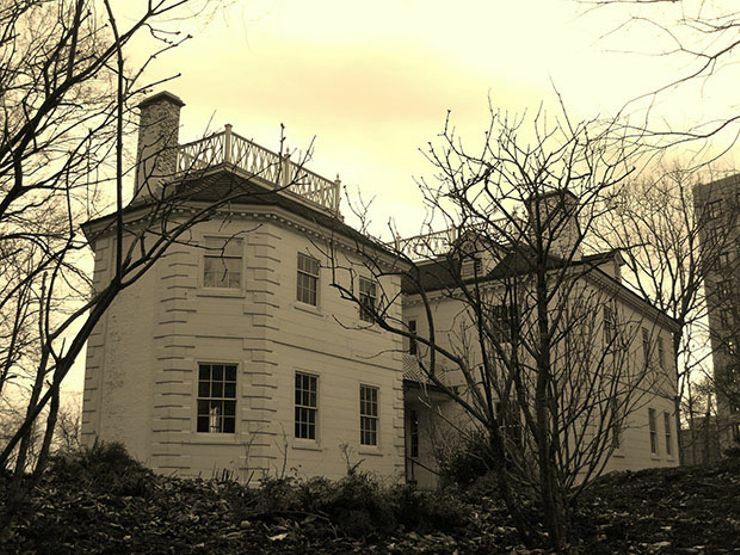 In the historic Van Cortlandt House (The Bronx’s oldest building) dolls walk, doors open and close on their own and, sometimes, an unseen hand touches the shoulders of visitors. Could it be the Wappinger chief and his tribe continuing to hold on to land that was once theirs?